Dallas, TX: Cupcake Polish is very excited to announce the details of their annual Black Friday sale! Is your cart filled with products you have been dying for all year? 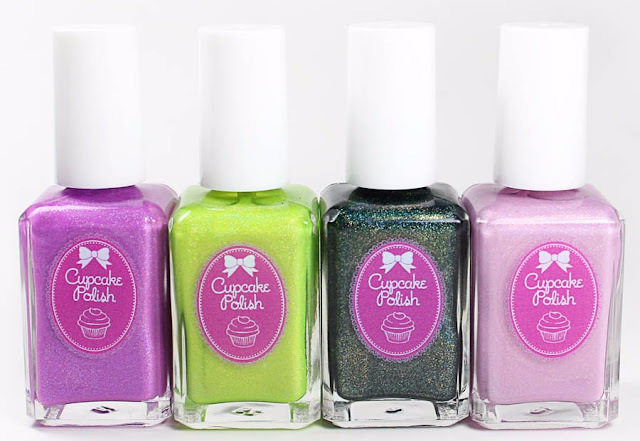 Well get ready - this is Cupcake Polish's BEST sale of the year! 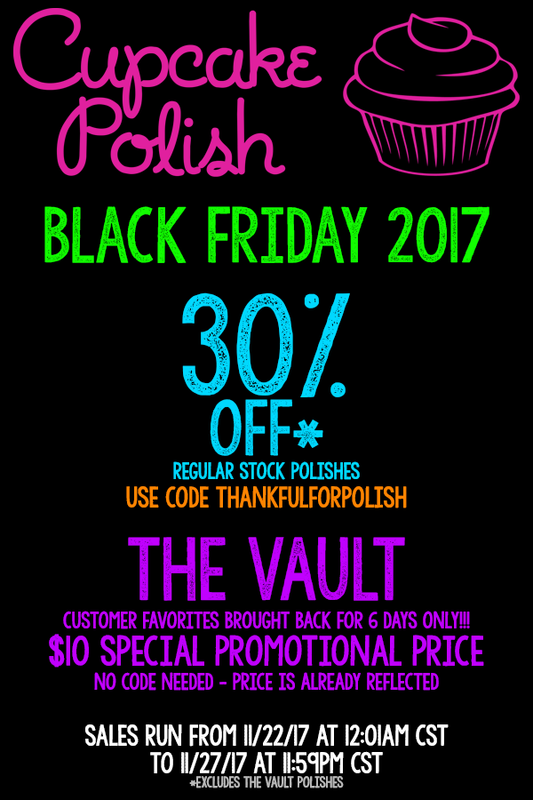 Cupcake Polish is offering 30% OFF regular stock polishes with code THANKFULFORPOLISH. Customer favourites such as Berry Good Looking, Blood Hound, Mr.Mint, and our new Holiday Trio are all part of this amazing sale! Cupcake polish is also doing something very special for this year's sale with a special promotion called THE VAULT. We have brought back customer voted fan favourites - Itsy Bitsy Teeny Bikini, Yeti Eats A Cupcake, Where Are You Christmas?, and Dragon Scales for 6 days only!! These polishes are reformulated to match the original limited releases as closely as possible and this might be the LAST chance to add these classic fan favourites to your collection! All 4 THE VAULT polishes will be $10 - a special promotional price with no code needed (price is already reflected).